The room was very large and included an entire kitchen and living room apart from the bedroom and bathroom. All areas were very clean. The location was great for keeping away from most of the tourist-traps, allowing for a more localized experience. The hosts were extremely polite and willing to work around our strange check-in/check-out time requests. Beautiful view. I thought we were going to get a balcony, but no balcony just windows with nice views, other than that, everything was great. About 15-20 min walk to San Marco but you get a nice scenic walk on the way. The host was so friendly and immediately attended to any request or question. The location was perfect. Quiet but highly accessible from major attractions. Close to train station and parking garage. Great canal views and grocery store within minutes walk. Quiet location. Helpful staff. Beautiful and spacious rooms. Very clean. Great location, not too near main tourist area. Close to square with nice restaurants. Apartment was spotless and breakfast was brilliant, had way too much for 2. Could easily fit 5 people in apartment. Would highly recommend it. It was a nice location walkable to major places. We had two small children (4 and 7) and it is great for families - we slept so well and were very comfortable in the apt. Wifi, laundry washer, espresso maker, elevator, more - it was very pleasant. Thank you! We would stay again. dishwasher and washing machine in the suite was excellent. great location in dorsoduro next to campo san marguerite which is a lively town with a supermarket. Marco was a great host and super helpful. Convenient location. Comfortable apartment. Friendly staff. Lock in a great price for Suite in Venice Ai Carmini – rated 9 by recent guests! 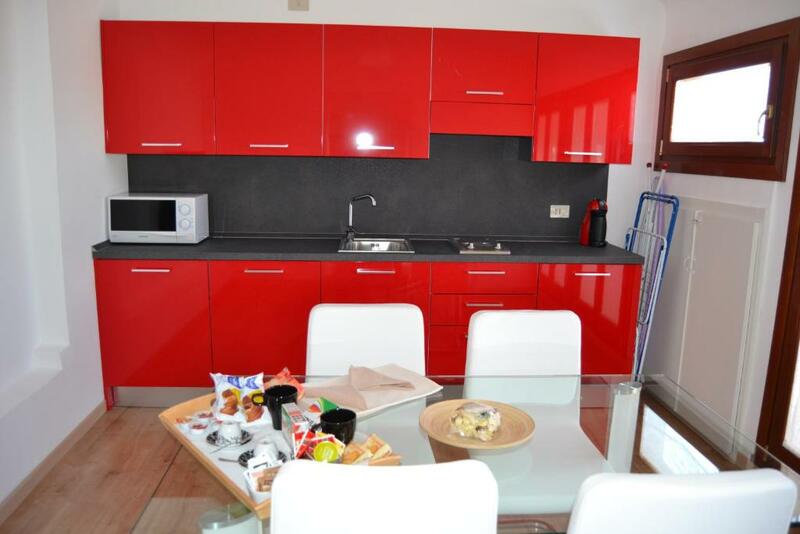 Suite in Venice Ai Carmini offers independent apartments providing all the comforts of home. Blending modern facilities such as free WiFi, with traditional Venetian charm, this elegant establishment features an ancient inner well. The traditional lobby is ideal to relax and enjoy sociable moments after your day in the Lagoon. The refined and spacious Ai Carmini apartments offer charming views and comfortable, self-catering accommodations in the heart of the city. A sweet and savory breakfast is available daily. 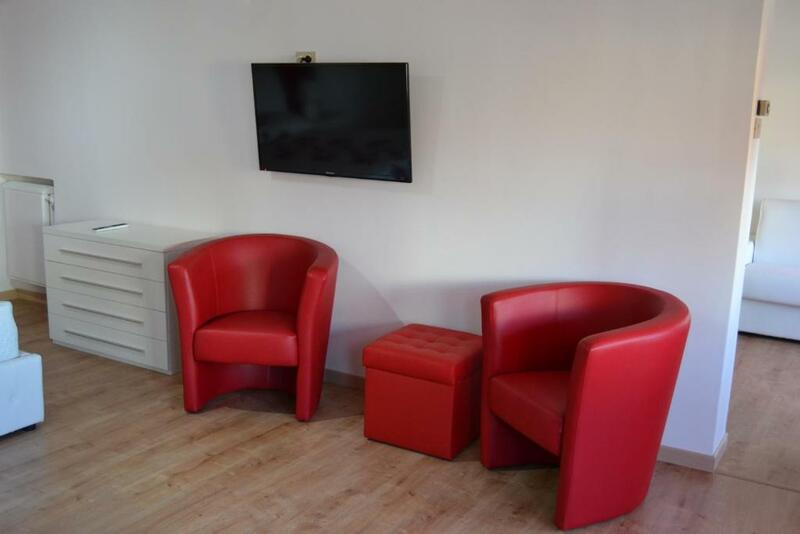 Located close to both Piazzale Roma and Santa Lucia Railway Station, Ai Carmini is in the Dorsoduro district, along the Fondamenta del Soccorso. Ai Carmini lies between the Zenobio Palace (Armenian College) and an ancient building belonging to the Moro Family, known as Othello’s house from the famous tragedy by Shakespeare. When would you like to stay at Suite in Venice Ai Carmini? This apartment features a sofa, stovetop and washing machine. Set on the 4th floor, this suite features a dishwasher, stovetop and microwave. Please note that a elevator is available. House Rules Suite in Venice Ai Carmini takes special requests – add in the next step! 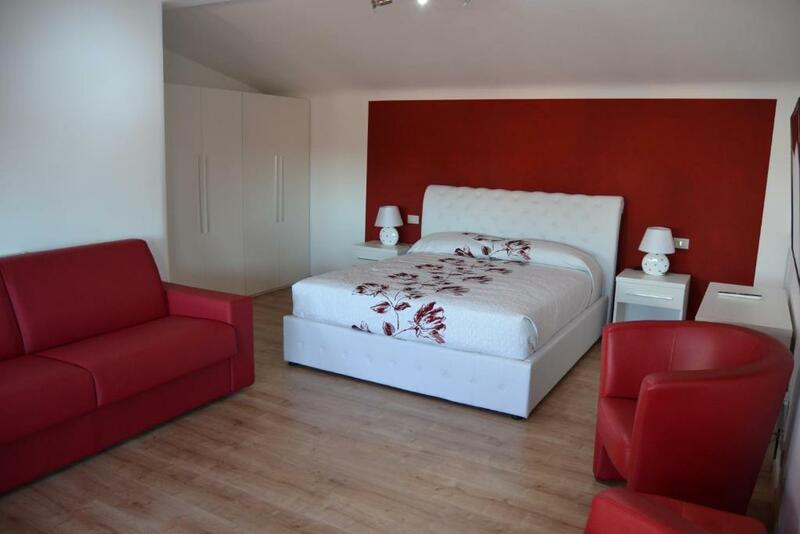 One child from 5 to 10 years is charged EUR 10 per person per night in an extra bed. ATM card Suite in Venice Ai Carmini accepts these cards and reserves the right to temporarily hold an amount prior to arrival. Suite in Venice Ai Carmini accepts these cards and reserves the right to temporarily hold an amount prior to arrival. Guests are kindly requested to inform the property of their estimated time of arrival in advance, together with the total number of guests per apartment. This can be noted in the Special Requests box during booking or by contacting the property using the contact details found on the booking confirmation. Any changes to the arrival time must be communicated to the property so that the owners can guarantee someone will be available to check guests in. Please inform Suite in Venice Ai Carmini of your expected arrival time in advance. You can use the Special Requests box when booking, or contact the property directly using the contact details in your confirmation. The location is fantastic. 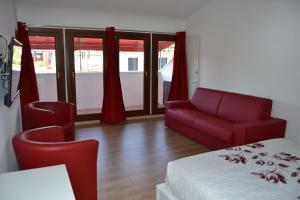 Close to restaurants and in a quieter area with a water bus stop just around the corner. The check-in process was a breeze. Pillows too firm. Could have done with optional softer pillows. Also could have done with some English channels on the TV. Good location. Very clean an modern interior. Nice power shower in bathroom! Made good use of the kitchen facilities! Mattress and pillows were very firm, could have maybe had an option of softer pillows. Great location, a bit off the beaten track but all the better for it. Wi fi was great. Kitchen facilities were ideal and supermarket was nearby. The one and only thing I didn't like was the hairdryer. Least practical hairdryer I have ever used and for someone like me with lots of long hair an absolute nightmare to use. Will definitely bring my own next time. Other than that, everything was great. 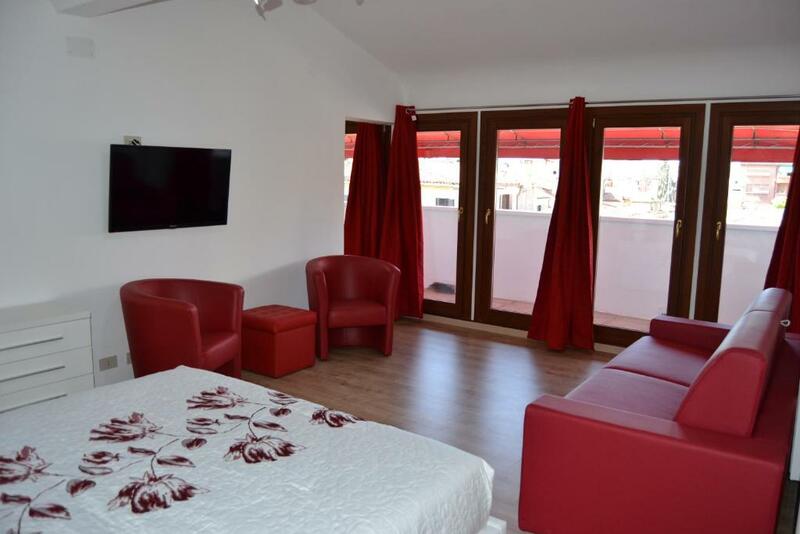 Location is great, close to the station and lots of cafés and restaurants around. The apartment is very spacious with good beds and everything we needed was there. We thought the price was really reasonable for what's offered. how clean the apartment was and the decor was beautiful. Great stay! Thanks a lot! Location is just great to make you feel local and not a tourist. Vaporetto stop is in five minutes walk. The view on the canal is charming. Didn't like the breakfast and will not recommend breakfast option. No italian moka in the apartament. Very nice apartament very close to piazzale di Roma, fully equipped. The only comment I could make, which is not a criticism, is that maybe the living room could do with a coffee table in front of the sofa! All round very good. Great location, very easy to get in to after reception had closed. Great facilities and a comfortable bed. 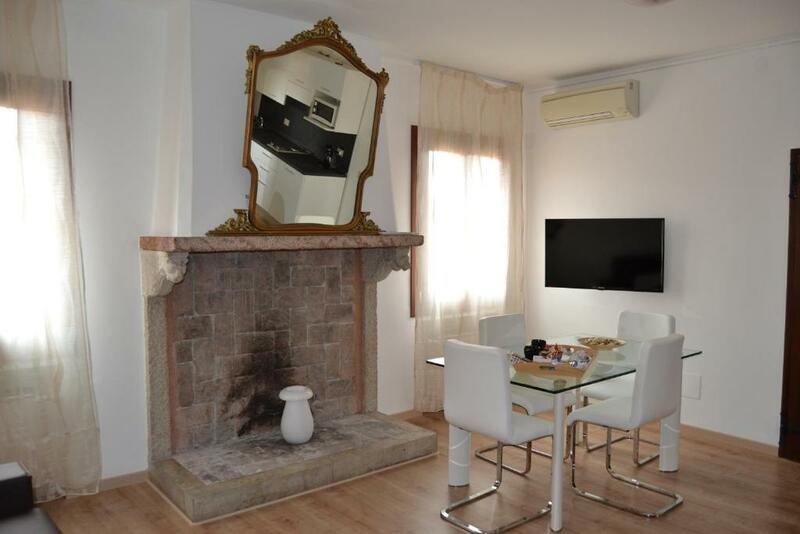 The location is excellent, away from the overtly tourist parts with a supermarket and bustling square round the corner with plenty of options for eating. The size was superb, plenty of space and whilst we were only here for 2 nights it would be a fantastic base for a longer trip to Venice and the wider region. It's also only 15 mins walk from the train station (though be aware that with luggage you will need to cross around 5 bridges, so be prepared to lift your cases or look at a water taxi). Suite in venice is really very nice place to stay in Venice, because of first thing is the staff is very much helpful especially Mr. Marco is very good person to response all you calls, emails and your queries, very nice person; 2nd thing is the location very much easy for you to go major places, such as San Marc Plaza, Roma Plaza, etc, 3rd is clearness is very nice daily cleaning, 4th is the facilities in the apartment is is fully equipped, kitchen is amazing!! 5th there is several supermarkets or grocery and many many restaurants within few months walking distance, this is very good for travellers in a new place! For sure we will come back Venice again , of cause no other choice for hotels except SUITR IN VENICE!!! Special thanks to Mr. Marco who iis supporting and helps a lot during our first journey in a venice, thank you Marco and see you next time!!! THIS IS HIGHLY RECOMMENDED HOTEL FOR ALL VISITORS TO VENICE!! Location, service, space inside ! 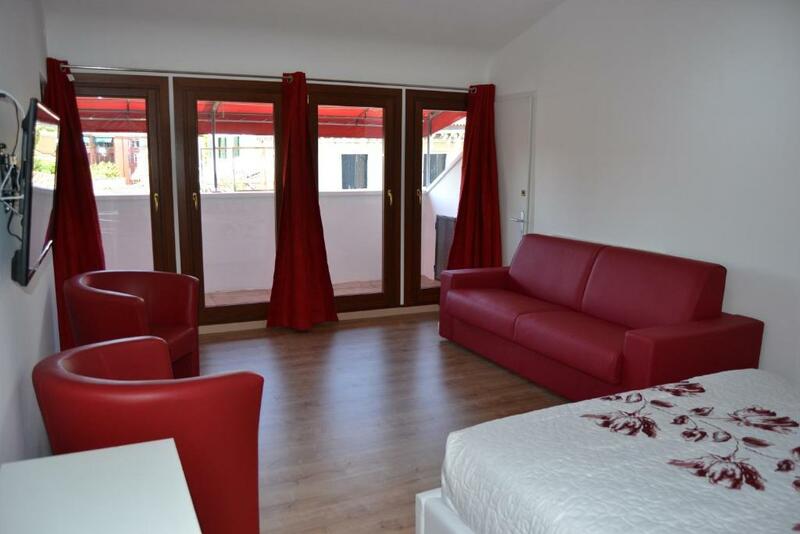 Very nice apartment, we will recommend it to our friends with pleasure !